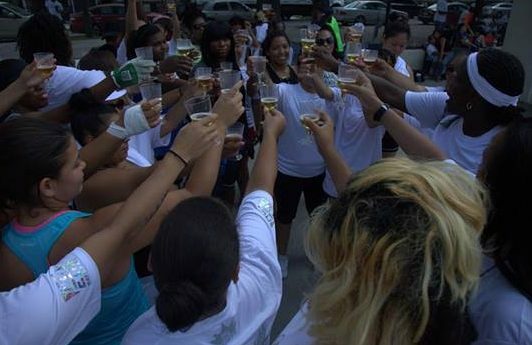 The Ladyballers started in 2015 and has quickly become regarded as one of the top women’s doubles events in New York City. JoJo Para and BeeBee Garcia entered the event as the top seeds, with the “Wonder Twins” Jessenia and Melanie Garate and Quasia Ziegler and Emerald Roberts seeded second and third, respectively. The top seeded Parra/Garcia cruised to the final with an impressive win against Team Santiago/Ruby in the upper bracket semifinals, while the “Wonder Twins,” Team Garate ousted Team Ruiz/Qu in the bottom bracket semifinals. The finals produced tremendous action, with the two top teams displaying sensational skills in the one game final. 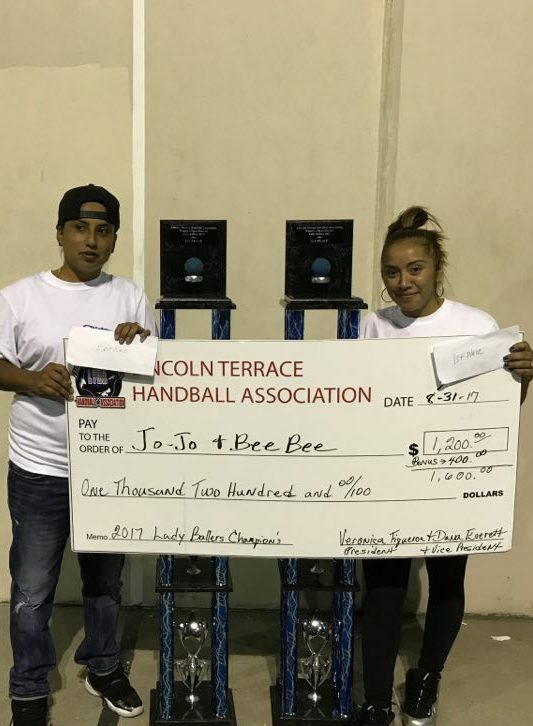 “There were so many great rallies in the final,” stated Ms. V. “In the end, Jojo and Beebee were just too experienced for the young “Wonder Twins.” Team Parra/Garcia cruised to a 25-6 win to take the Lady Big Blue Baller’s title. 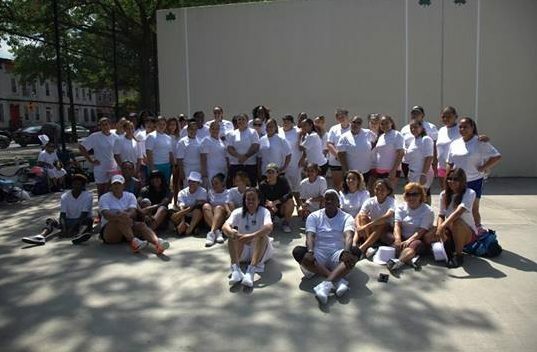 Thank you to the Lincoln Terrace Handball Association and WPH ambassador Veronica Figueroa for running an outstanding event, featuring 157 men’s and women’s pro players in two divisions. Log onto wphlive.tv, Like the World Players of Handball on Facebook, or follow the WPH on Twitter @dfwph and @wphlive for all of the handball news from on and off the court! The World Players of Handball is a non-profit foundation aiming to grow the game of handball through innovation and inspiring the next generation of players through junior clinics with Certified WPH Coaches, junior tournaments and the Race 4 Eight and WPH Outdoor tours.